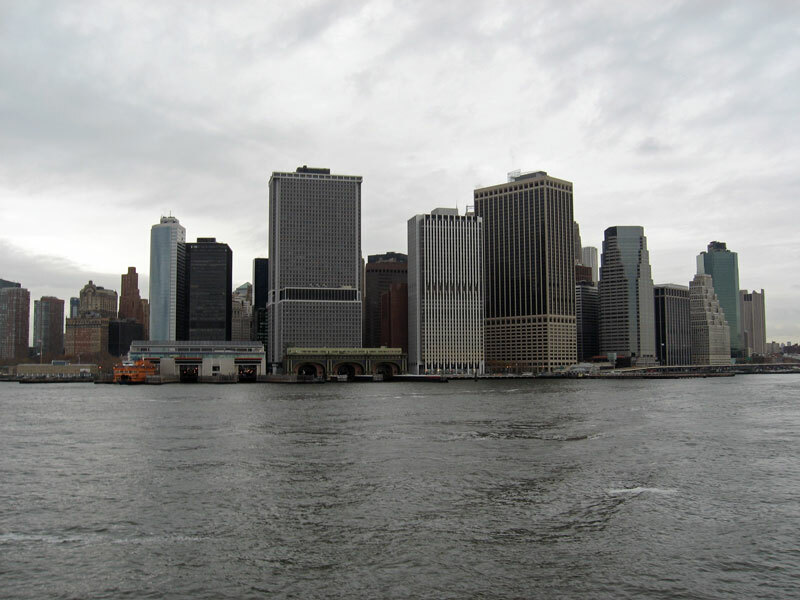 On November 30, the Metropolitan Waterfront Alliance held its 2010 Waterfront Conference. This all-day event was hosted by the Smithsonian’s National Museum of the American Indian in New York. More than 600 people attended the conference, representatives of the various non-profits, government agencies, and other groups that use and care about our waters and waterfront. One hundred five individuals made presentations at two plenary sessions and fifteen panel discussions. Obviously I couldn’t attend every session. Here is a summary of what I heard. The morning started with a boat tour around New York Harbor. We headed first to the New Jersey side near the Statue of Liberty where we heard brief remarks about the Comprehensive Restoration Plan from representatives of the U.S. Army Corps of Engineers, the New Jersey Department of Environmental Protection, and Liberty State Park. Then it was over to Red Hook to hear about New York City’s Comprehensive Waterfront Plan from the city’s Economic Development Corporation and the Department of City Planning. The morning’s plenary session, moderated by New York City Deputy Mayor Robert Steel, covered the Comprehensive Waterfront Plan and regional opportunities for collaboration and funding. Speakers came from New York City government, New Jersey government, the Army Corps of Engineers, and the U.S. Coast Guard. The first panel discussion I attended was “Why is the NY-NJ Harbor Missing the Boat?” As a recreational boater, I was really looking forward to hearing what this panel would present. But I was disappointed that the presentations and Q-and-A focused more on bringing tall ships to New York than on providing docking opportunities for recreational boaters. Captain John Doswell (Working Harbor Committee and North River Historic Ship Society) made a very interesting presentation on what makes the perfect pier. He stressed that the perfect pier must be constructed for multiple uses such as recreation, emergency, and historic vessels. 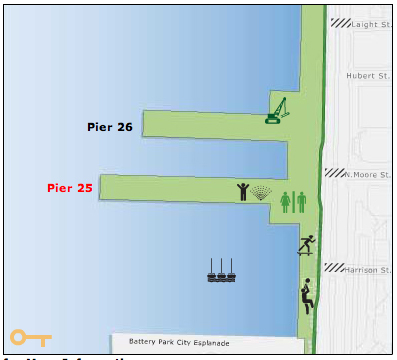 They should be able to accommodate boats with different amounts of freeboard, should have cleats and bollards that are easily accessible, and should be level and with straight edges, and the pilings should not be in front of gates. Jamy Madeja (Massachusetts Marine Trade Association) noted that a University of Michigan study found that every $1 spent by a recreational boater on a slip or a mooring equaled $4 spent at local businesses. She also mentioned that Federal Boating Infrastructure Grants to build, renovate, and maintain facilities for transient boaters are available pretty much for the taking. Mason Sears (SF Marina) talked about the concrete floating structures (also known as docks) that his company makes. Doswell gave them high marks. The next session I attended was “The Oyster and the Clean Water Act.” Wayne Jackson (U.S. Environmental Protection Agency, Region 2) described the Harbor Estuary Program and its goal of having all open waters in the harbor be fishable and swimmable. All the panelists agreed this is a long way off. Jim Lodge (Hudson River Foundation) talked about the Oyster Restoration Research Project, a two-year study to determine the possibility of restoring oyster reefs in the harbor. This is a joint project with the Corps of Engineers, the NY/NJ Baykeeper and the New York Harbor School. Debbie Mans (NY/NJ Baykeeper) talked about her great disappointment that the New Jersey Department of Environmental Protection had ordered the removal of oysters from the experimental reef located in New Jersey waters. She said the project will go ahead with the reefs in New York waters. Paul Greenberg (author of Four Fish: The Future of the Last Wild Food) noted that conservationists are by nature nostalgic, whereas the general public is forgetful. He said the success of conservation programs in Chesapeake Bay and Puget Sound is because there is still a living memory of what it used to be like in those areas. The oysters have been gone from New York Harbor for so long that the living memory is also gone. We need to create a new living memory here. Success in New York, he said, will lead to other coastal communities following our example. The last panel I attended was “Floating the Blue Highway—The Economics and Rationale for Water Mass Transit.” This was the most exciting panel I attended. Pierre Vilain (HDR) presented the results of a study based on U.S. Census Bureau data that showed where people who use ferries live and work. Paula Berry (NYC & Co.) discussed a pilot project from this past summer that showed that recreational users would use water mass transit. Her group teamed up with New York Water Taxi to run a NYHarborWay water taxi that linked waterfront parks on the East River. David Hopkins (New York City Economic Development Corporation) discussed the role of water mass transit to relieve overcrowding on other forms of mass transit, such as PATH, and to serve areas not served by other forms of transit. Rex Asiedo (New York City Office of Emergency Management) talked about the role of ferries in emergency situations such as evacuations, blackouts, and the crash of US Airways flight 1549 into the Hudson. Carter Craft (waterfront planner and consultant) reminded us not to forget about regional freight ferries and the role they can play in getting trucks off the roads. Tom Fox (New York Water Taxi) talked about his idea for high-speed, long-haul ferries to connect the area’s waterfront parks such as Jacob Riis Park, Robert Moses Park, and Jones Beach. 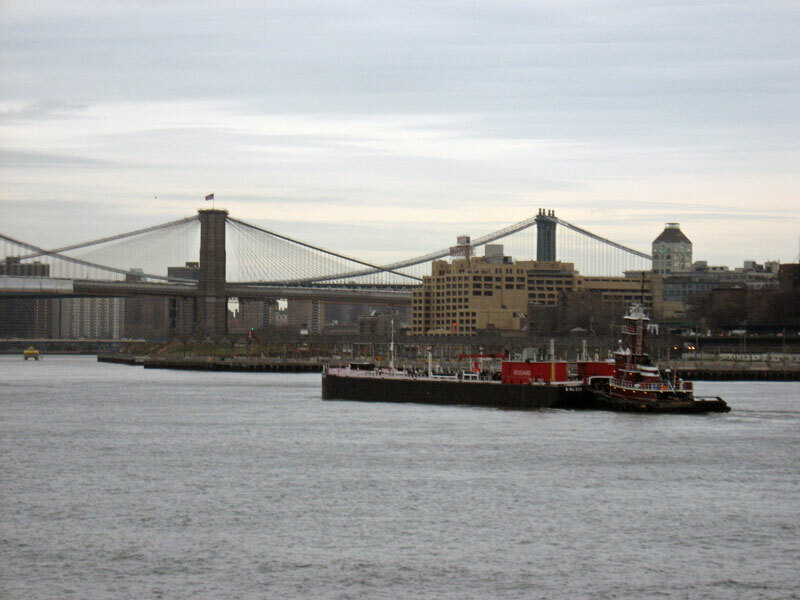 He also described his vision of the East River as the Grand Canal of New York. He sees express and local ferries running uptown and down and out to the airports. He said that to be successful, water mass transit must be integrated with and run like terrestrial mass transit, with passengers having the ability to transfer from one boat to another and between the different modes of transit. According to Fox, three things are needed to make this a reality: 1) public investment in infrastructure, 2) private investment, and 3) political will. After the recap session, where the leaders of the fifteen panels presented brief summaries, we headed over to the Battery for an evening boat tour and cocktails.